After lunch proceed to sightseen places like Chinese fishing nets, Jewish synagogue,st Francis Chruch,Bolgatty palace Evening free for Shopping at Mg road over night Stay at the Hotel. Day -02: proceed To Munnar cohin –munnar (150 k.m) 04 Hour Drive Check into Hotel TeaCounty/Similar After lunch proceed to sightseen places in Munnar like Tata TeaFactory, Evening free for leisure overnight Stay At the Hotel . Day – 03: After Breakfast visit Raj malai , Echo point, Matuputty dam, Rajamalai & Tata tea Mseum , Evening Free for leisure & Shopping overnight stay at The Hotel. Day – 04: After Breakfast proceed to kumarkom(160 K.m 04 hour Drive ) Check into Hotel taj vivanta .go for boatig at Vembanad lake(Optional ) .Free For leisure overnight Stay at the Hotel. Day – 05: After Breakfast proceed to Varkala(90 k.m) .Check into Hotel Taj Gateway. Enjoy Evening at Varkala beach Evening Free for leisre overnight Stay At The Hotel. Day – 06: After Breakfast proceed to kovalam (70 k.m )Check into Hotel Taj vivanta . 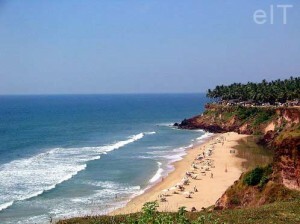 After lunch Enjoy lesire time at kovalam Beach Evening For leisure .Overnight stay at Hotel . Total Accomodation cost for 01 Person for 07Night/08Days kerala tour as follows: Rs.15,000/-Nett per person Valid from 15 june 2011 to 30 sept 2011. Transport Variant as per the Group size. 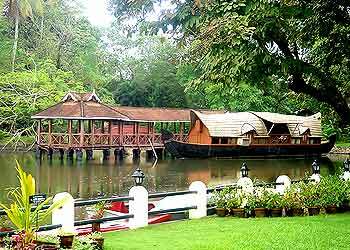 If you have not decided yet or wants to customize tour itinerary or hotels listed above in "7 Nights Kerala Summer Package with Taj Holidays Rs.15999/-", then we can change the travel itinerary and make a personalized, tailor-made holiday package, especially for you. We can modify this travel package as per your itinerary, budget, duration and the tourist places you would like to visit, including transportation and airfare should be included or not. Please fill the form below to contact us. i would like to know whether such package will be available by end December 2011? If not,could you propose a similar package for two person.